It has been sunny but still cold, and I had planned to cycle after going to FIL's home today. Last days it has been cold but sunny , and when I go to FIL' place to take his food or shopping i stay there for a while and then go with my cycle for a longer ride. And that was the plan today too, so I went to his place but I spend almost 2 hours there that I decided there is no more sun left and rather cycle back home than going for a longer ride. There are times when I say to Hans I never thought I would be so busy with FIL, Ok when ever I went there when MIL was still alive FIL was also there always but I was more busy with mom as you know we would talk about what we cooked, and what we are planning to cook tommorw, then recipes we saw and all the other gossips about the other family memberes. But now it is not like that ,like today I was there and FIL was showing me all his old pics and talking about the past that I just sit there and listen and see the pics. Ok I have seen most of these old pics plenty of time, but he still shows me . 1. 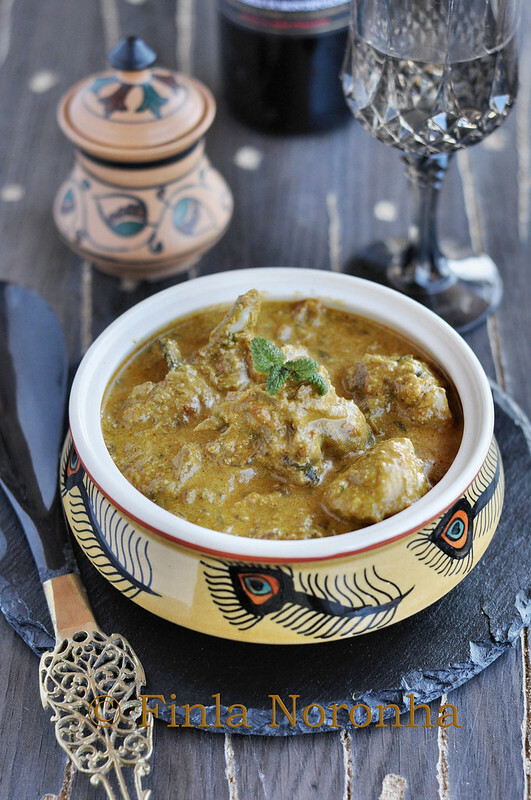 Cut the chicken in pieces and cook the chicken in a pan with hot water, turmeric ,cinnamon, cloves, cardamom and salt for 10 minutes and keep it aside. 2. 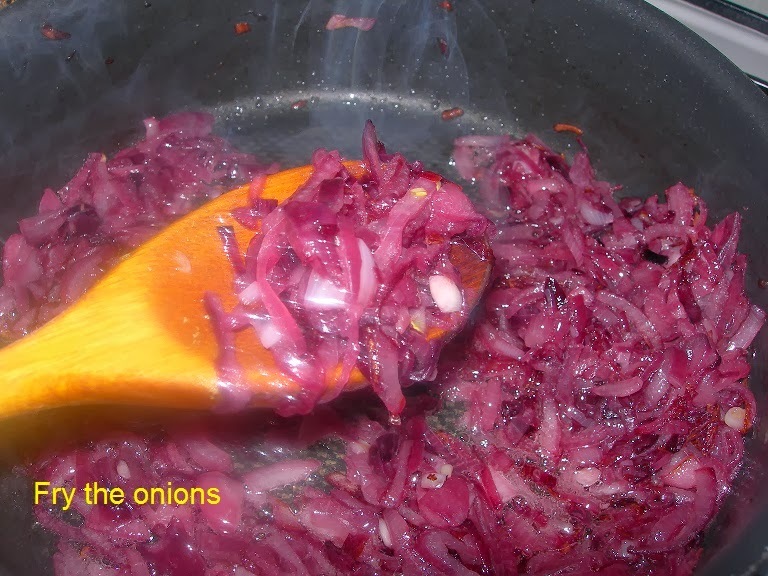 Heat the oil in a pan/wok and fry the sliced onions , stirring freequently . 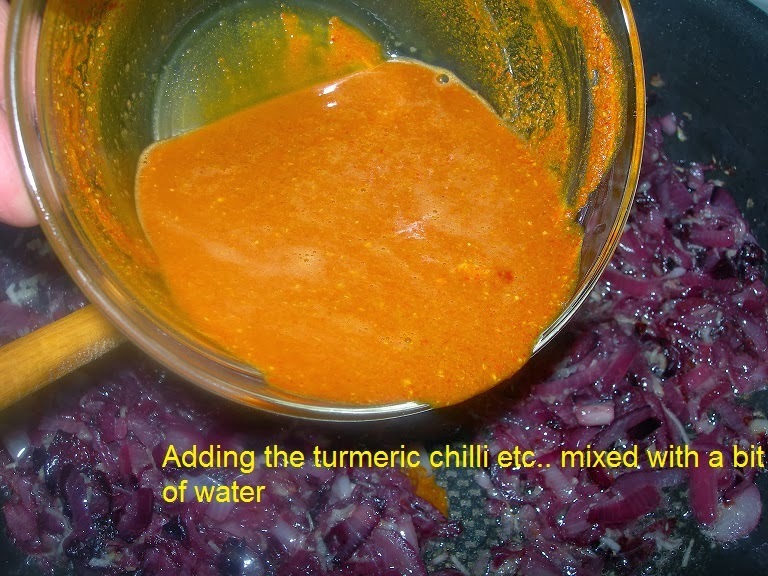 When they are fried well add the ginger and garlic paste.Mix with a little water corriander , turmeric , chilli poder and anise powder and add to the pan. Fry this ix well. 3. 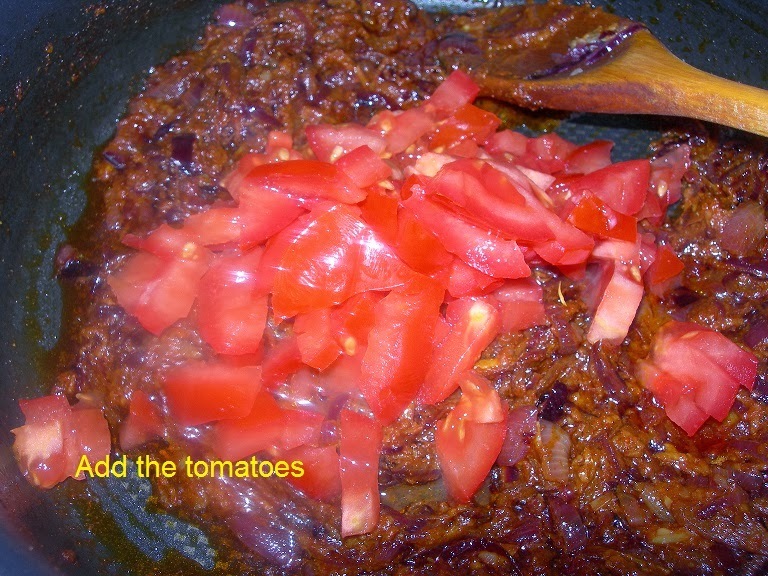 Add the chopped tomatoes. Fry well untill the oil seperates. 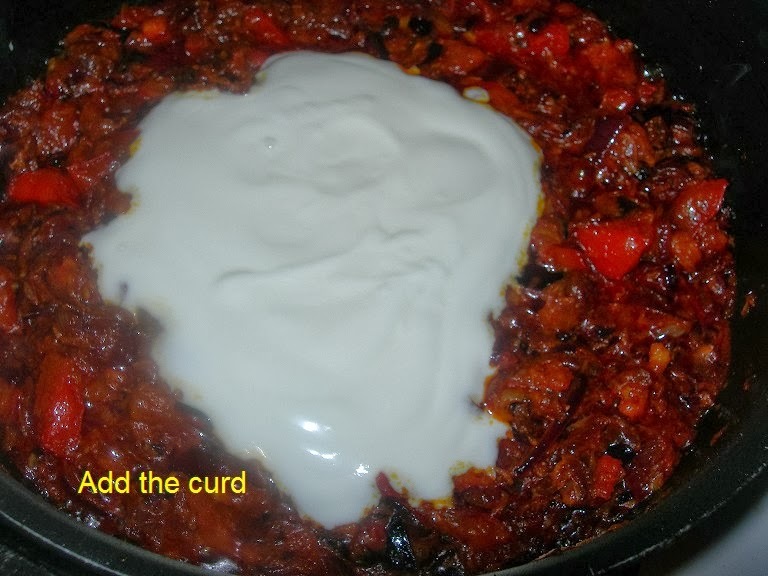 Add the curd, corriander meaves, green chillie and the cooked chicken together with the water the chicken was cooked. 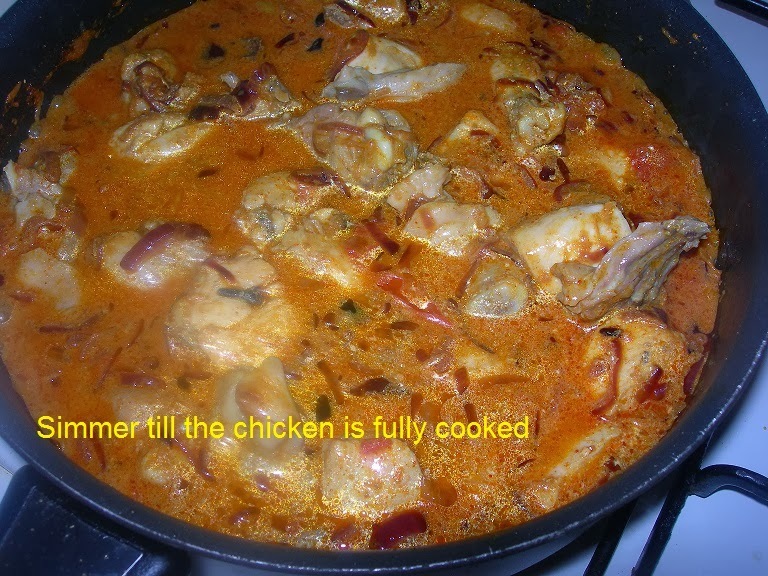 Cover with a lid and reduce the heat and simmer for futher 10 minutes or till the chicken is cooked. 4. In the mean time drind the cashews together with the coconut ( adding a bit of water while grinding if you need). 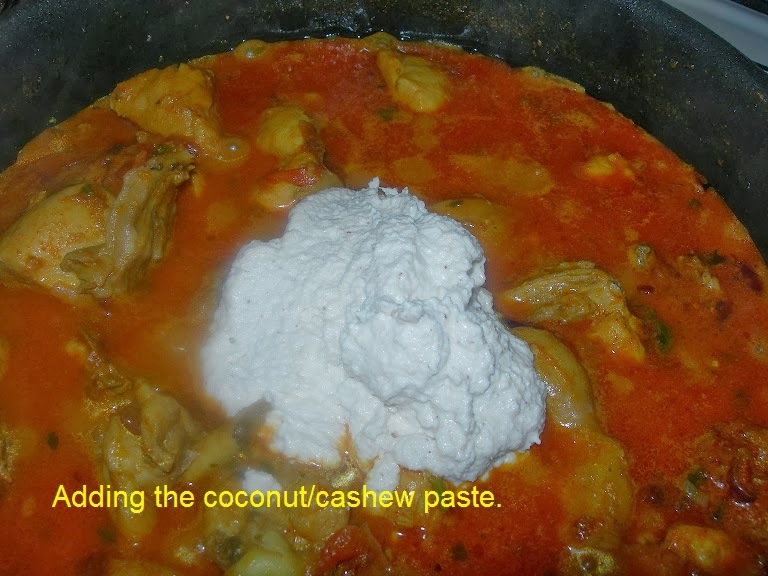 Add this paste into the curry when the chicken is fully cooked. Mix everything well . 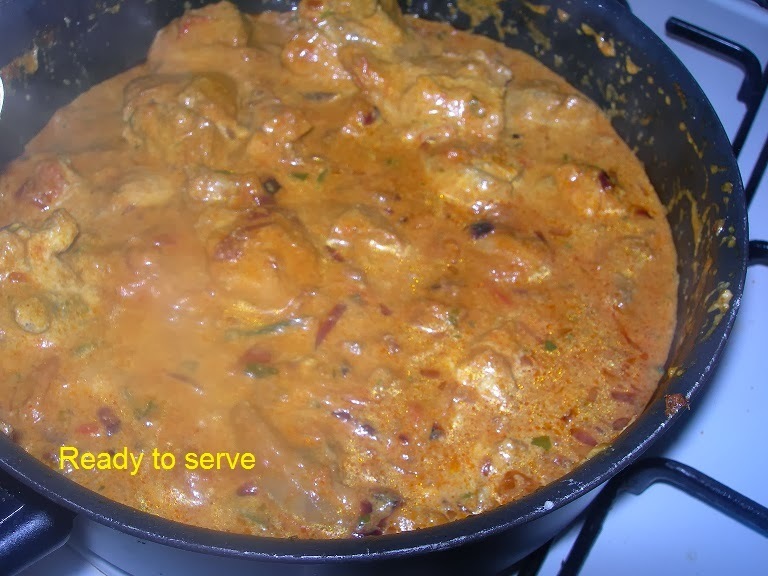 You can serve the korma with rice or roties. 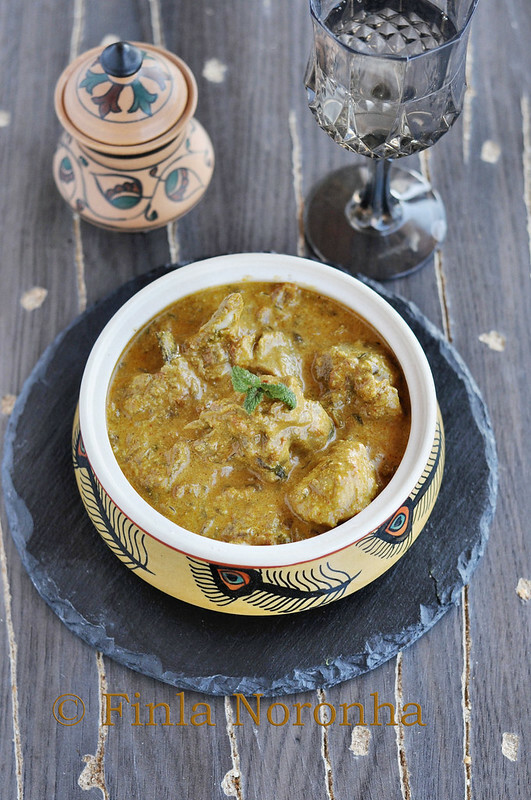 Lovely looking chicken kurma. Excellent way to beat the heat in this winter. 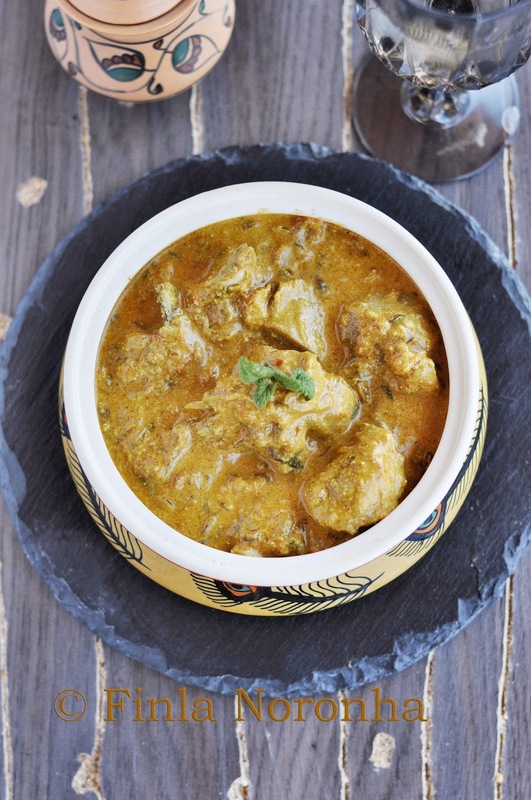 this is the showstopper of all the recipes that i have seen today. You are a good daughter in law , Finla. To go cycling in this weather with food. I am sure he appreciates all your love and kindness to him. 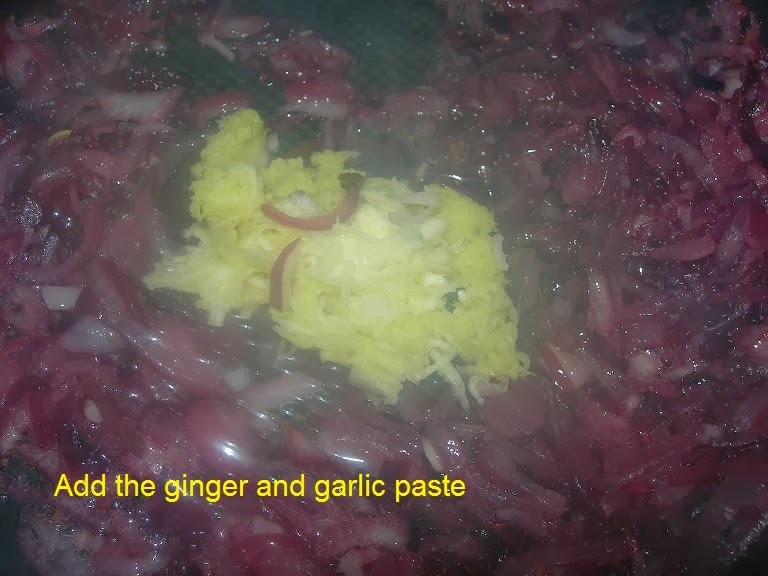 And this recipe looks awesome. This looks so very good, Finla. Love the gravy. 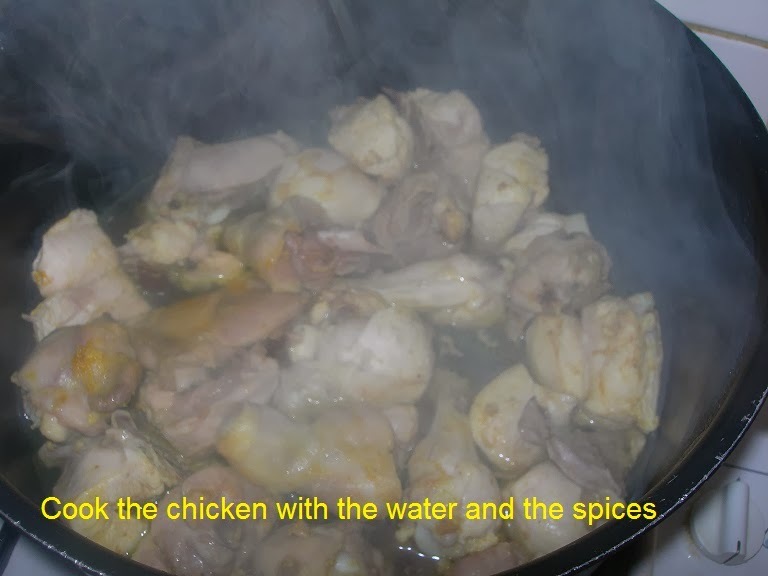 This looks like a gravy i made a few days ago! 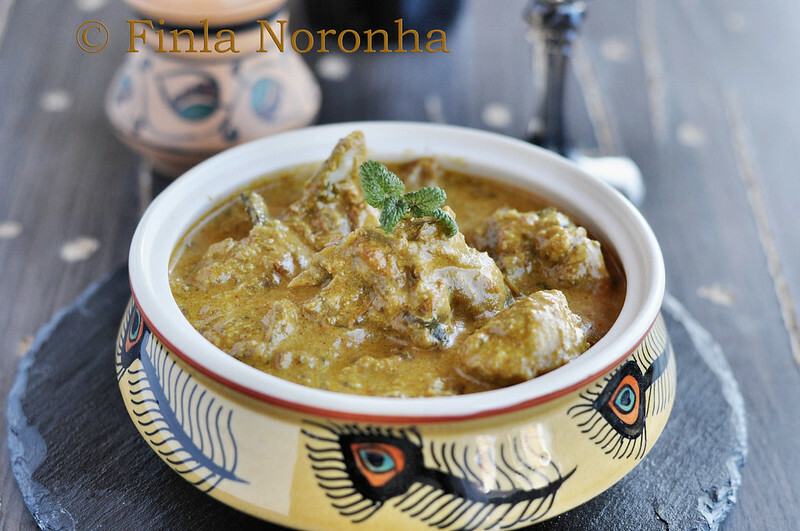 Finla, that korma looks delicious. Beautiful to look at too. Finla es un plato muy bueno y contundente ,riquìsimo,abrazos. 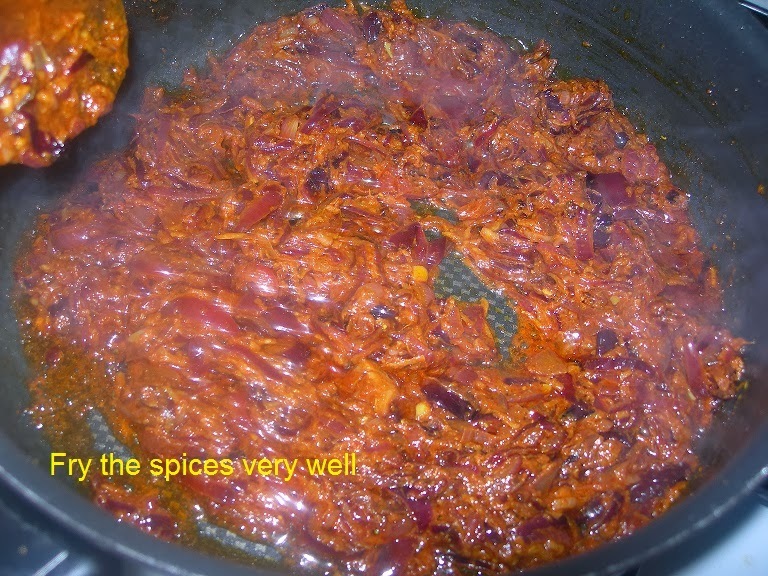 The curry has a rich look!